Nok Air is a budget airline that was founded in 2004 and currently has headquarters based in Bangkok, Thailand. Its majority owner is Thai Airways International while its main hub is located at Don Mueang International Airport. Its secondary hub is also situated in Bangkok at Chiang Mai International Airport. As a member of the Value Alliance, the airline began a partnership with Singapore Airlines' low-cost subsidiary, Scoot Airlines, to create NokScoot. This low-cost airline services regional cities in China, Taiwan, Japan and Thailand. 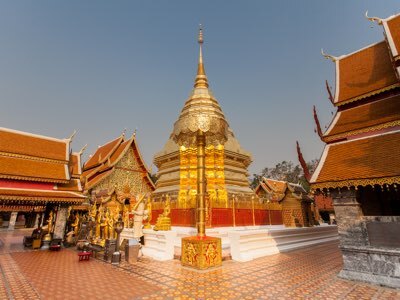 The airline currently flies to 27 destinations with its fleet of 29 aircraft, the majority of which are to various domestic cities within Thailand. 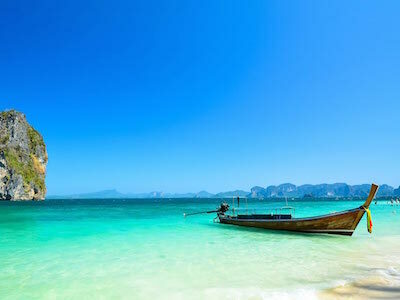 Some of these Thai destinations include Phuket International Airport, Lampang Airport, Chiang Mai International Airport, Krabi Airport and Trang Airport. Nok Air also flies to the Vietnamese destinations of Ho Chi Minh City and Hanoi, as well as Yangon International Airport in Myanmar and Singapore's Changi Airport. Online check-in is available for all Nok Air flights travelling within Thailand but not for flights travelling internationally. Online check-in is available from 24 hours up until 1 hour before the flight departs. In order to check in, passengers must enter their last name as well as their booking confirmation number. During the check-in process, passengers can choose where they would like to sit. Once the check in process has been completed, passengers are able to print off their boarding pass or have it sent to their email address to be printed later on. It is also possible for passengers to check in online with their mobile phone. Passengers travelling on Nok Air flights are allowed to take 1 piece of hand luggage with them on board no matter what flight they are travelling on. The luggage must not exceed 7 kg or be larger than 56 x 36 x 23 cm. Hand baggage must be placed in the overhead locker above the passenger's head whilst smaller items should be stored under the seat in front. Liquids are allowed on board but none of the containers may be able to hold more than 100 ml. All containers must be placed into a re-sealable see-through plastic bag and the total amount of liquid may not exceed 1 litre. The amount of checked luggage passengers are allowed to take with them on a Nok Air flight is dependent on the type of ticket purchased. When travelling with a normal ticket, passengers are allowed to take 1 piece of luggage free of charge that weighs 15 kg, whilst Nok Fan Club ticket holders can take 20 kg. Nok Smile Plus ticket holders are able to take 25 kg. For those travelling with a Nok Flexi ticket, an additional 5 kg is permitted to be taken on board in addition to the amounts mentioned previously. Passengers are advised to label each piece of luggage with their name and address. We booked round trip from Bangkok to Lampang. The flight to Lampang was postponed from 10.40 a.m. to 11:25 a.m. The return flight was cancelled and we were not informed. I phoned them about the weight of the carry-on and they told me the flight was cancelled. Nok Air is only ok for anyone who is very flexible and no fixed schedule/plan.